This is a water fern. This grows at 50 to 80% humidity when temperature is 200 to 300C. This can be use in goat, poultry, pig, rabbits, cows and buffalo. For cow and buffalo when it is mixed with bhusa morning and evening then milk production increases by 8 to 10%. For this, ten inches deep 2.5 metre long and 1.5 metre broad bets are made. In this bed three inches soil is laid. This is fertilized by aiding fertilizer mixture which contains SSP 5 kg, Mgso4 750 gram, murate of potash 250 gram of this fertilizer mixture 10 gram is aided per metre2. We should not use gober because its smell does not allow animal to eat it. In this bed aiding Azolla within 21 days. 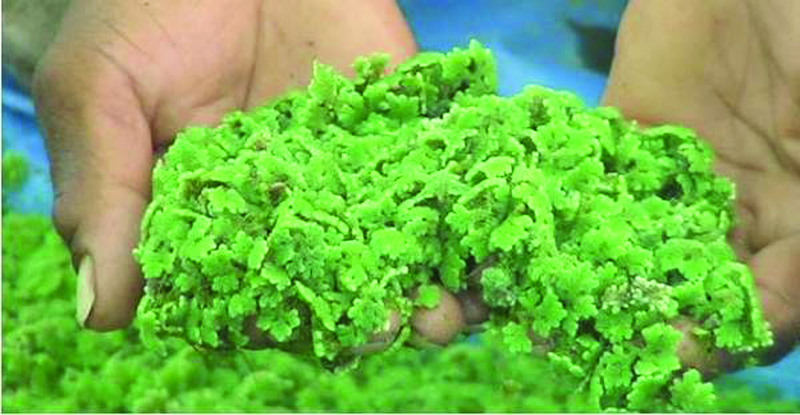 250 grams of azolla is harvested per day per square metre. 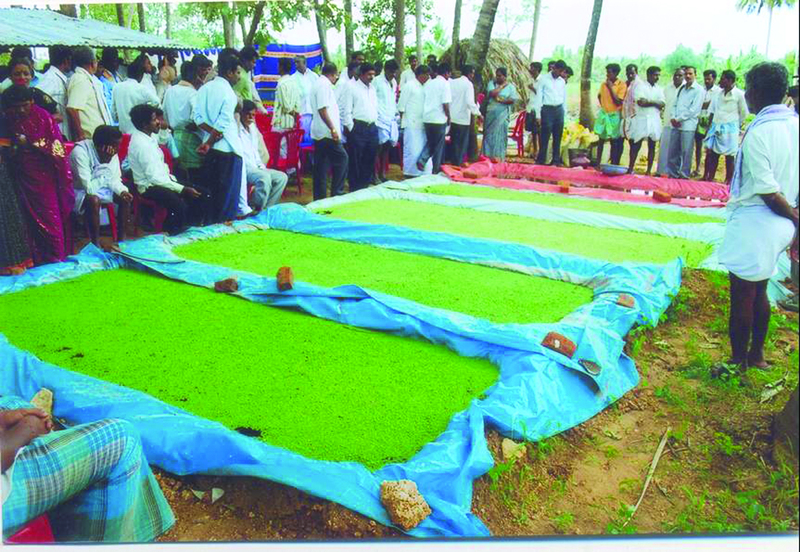 Bio fertilizer in paddy field. Plano climatology means there by it consume CO2. Thus it is helpful in reducing global warming. Bio remediation meaning there by removing inkle, copper, Zing, lead and chromium.